Justin has been in the home building industry for 19 years and has a degree in residential design. 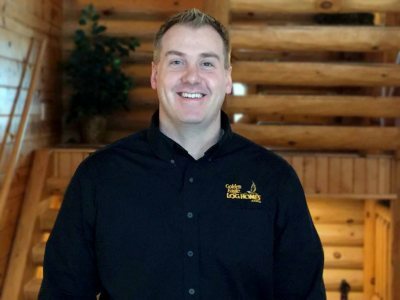 Justin spent many years as home designer at Golden Eagle before becoming a Sales Advisor. With a background in design Justin can help customers easily convey their thoughts and dreams into reality. Justin enjoys working with customers through every step of the home building process. Justin and his wife, Kristin, love spending time with his two young children, Braeden and Sophie. Justin and his family can be found taking part in many outdoor activities from fishing and boating to biking and camping. 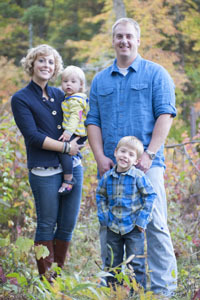 They also enjoy taking in local sporting events and cheering on their Green Bay Packers. Justin is avid fisherman and travels the Midwest chasing the elusive muskie. We are so thankful we met you the day we came tip to Golden Eagle for a tour. Your willingness to take the time and help us get our ideas on paper made all the difference and is what allowed us to move forward with our plans. We are so happy with our house and it so nice to sit in the great room and appreciate all the work and effort that so many people put into it. Natural pine combined with large windows and wide open space creates a level of peace and calm that is difficult to describe. Thank you again for all your help and support and best wishes for the New Year. "Our experience with Golden Eagle has been a very positive one. Justin has been a pleasure to work with, and he has been very up front and responsive to our needs. Golden Eagle delivered on their promises in a timely and professional manner. We would definitely work with them again."